I Am pleased to be with you this time as always. For it is in our continued efforts in working together — you and I and all of us as One together — and we are working to bring about these many changes to this planet, many changes to the consciousness of the collective mankind. And all of this is a continuing process. A continuing process to awaken many, many, many more across the entire surface of this planet. To bring about everything that was predicted long ago without the timeline changes, though, that were going to bring about those many catastrophes. 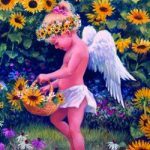 But with the new timeline shift that is now all about the love, the consciousness spreading across the planet, to bring about these changes in a much milder, much more inviting way for all of mankind; for all of those that are ready for this. 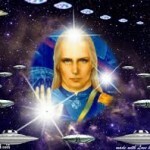 Some time ago I said that we were in the final preparations, final phase, you might say, of preparing for the Ascension process of this planet and those on the planet. And I Am here now to tell you that we are now ready to move into the Action Phase of this. The Action Phase that is going to bring about many, many more sightings across the planet. Many that have not seen us before will now begin to get those glimpses. Will begin to look into the clouds and see our ships within those clouds as we more and more begin to uncloak ourselves. But we are only uncloaking ourselves to those that do have eyes to see for it is not yet time for the mass populace to become aware of us. But for those of you the forerunners, the way showers to begin to light the way for all of those others yet to come after. That is the warrior in you. The light warrior in you to not only anchor the light, as you have been doing, but to now spread the light and share it. Just as you are doing, so we are doing so as well. From our many, many ships above you, we are preparing the way just as you are. And there are those that are preparing the way also below the Earth. Those of the Agarthan realm, in Telos, and in many other cities that are located within the Earth that you have not even begun to hear of yet but are beginning to open their doors. It is a process. They have been working on this for some time and they are beginning now to open those doors. Not to all but to those that are ready for this, that are ready to become acquainted. And even many to remember that they were here before, both here on the ships as well as deep within the Earth. There are realms beyond realms that you have yet no idea of. Many dimensions that are there in front of you but you have not yet seen them because you, in many ways, do not yet have the eyes to see through those dimensions. That is all changing as you know. As you are beginning to know and as you are beginning to remember. As you have heard, many of you have done this before. You have gone from system to system and been as has been called the system busters. And you come into the system and you bust it wide open. You as a collective you. And this is what you are in the process of now. You are busting the system wide open. You are preparing the way for the light to overcome all of the darkness here. And when I say all of the darkness I mean all of the darkness. For when The Event occurs, when the light has fully overcome the darkness there will be no more darkness, no more evil, no more fear. If you can imagine a world that can be as that, then you can begin to but believe that all is possible. 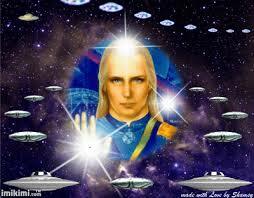 I AM Ashtar. And I leave you now in peace and love and ask you all, each one of you, to go forth and share the love and the understanding and the light that you have become.